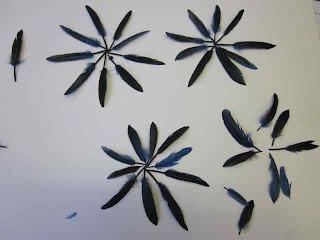 Here are more of the experiments I did before I came up with the Watermark exhibition idea. 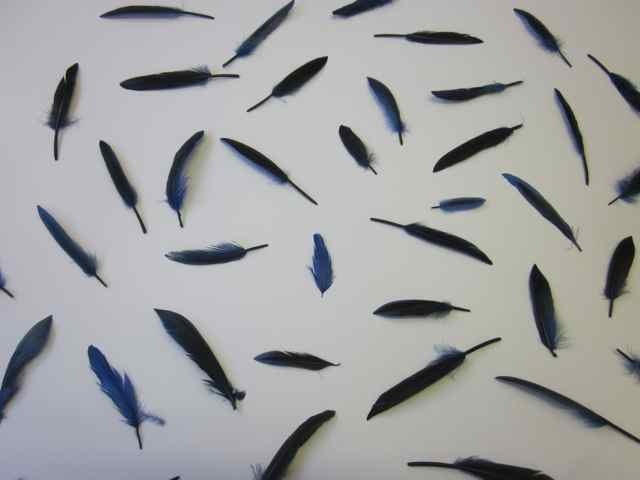 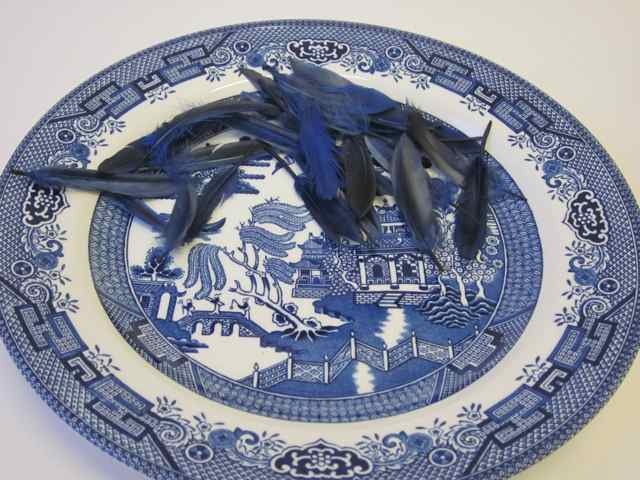 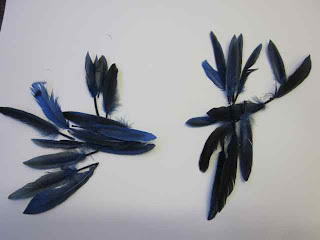 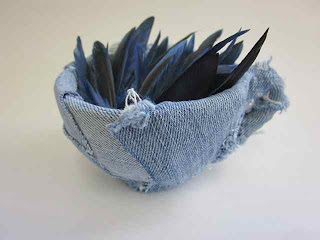 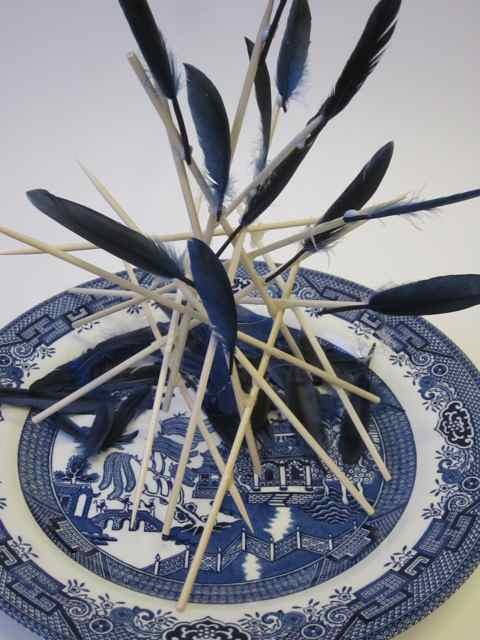 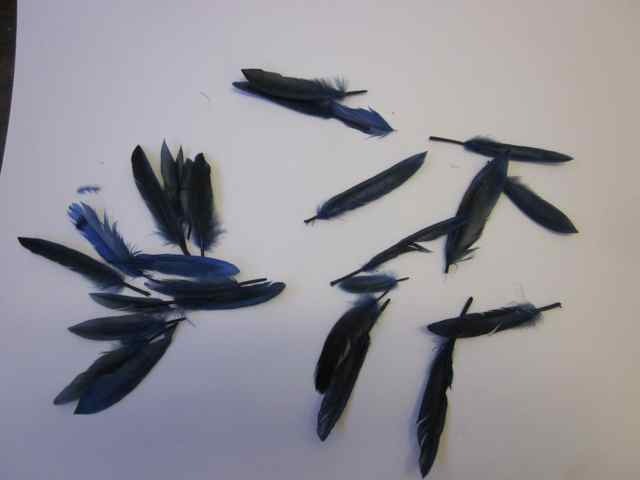 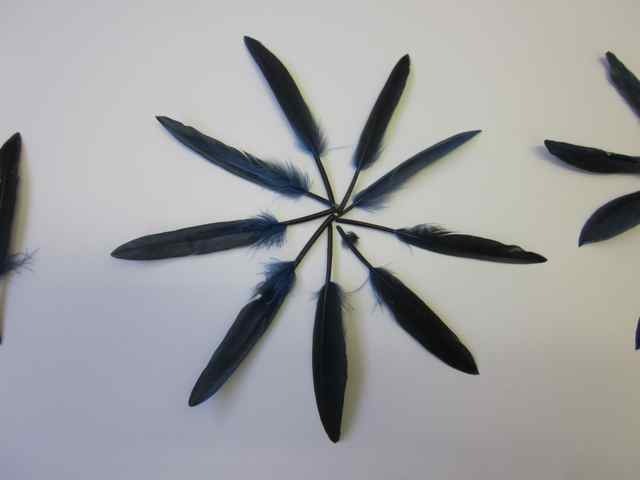 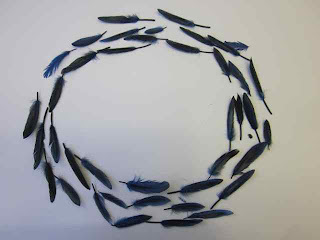 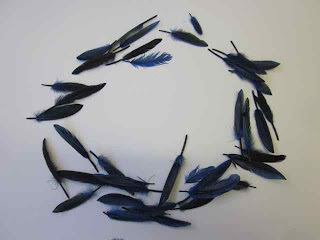 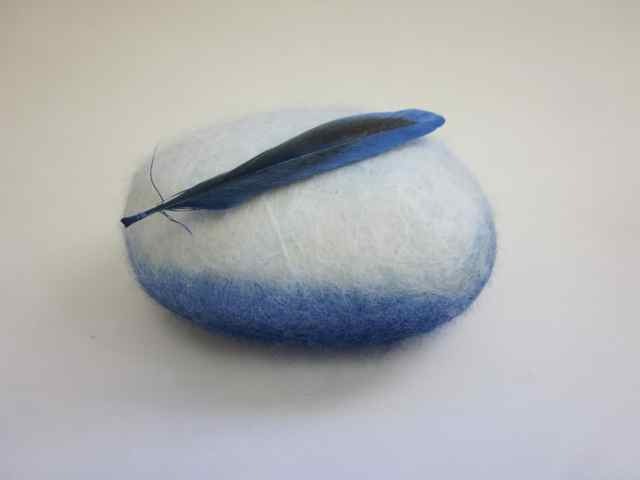 I was given a packet of feathers in a 'lucky dip ' exercise and because I was working with the willow plate at the time i dyed them blue with acid dye and then played with them, rearranging them and taking photos. 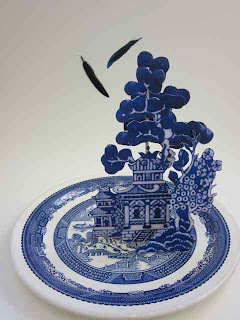 I thought of these pictures as the two little birds from the willow pattern plate. 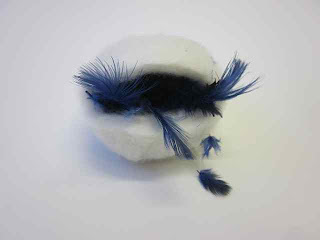 Below - the cat got one. After the blue and white I started using bright colours. 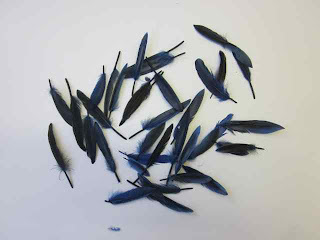 The bright colours were a shock, and then I realised that that was what I was trying to do!